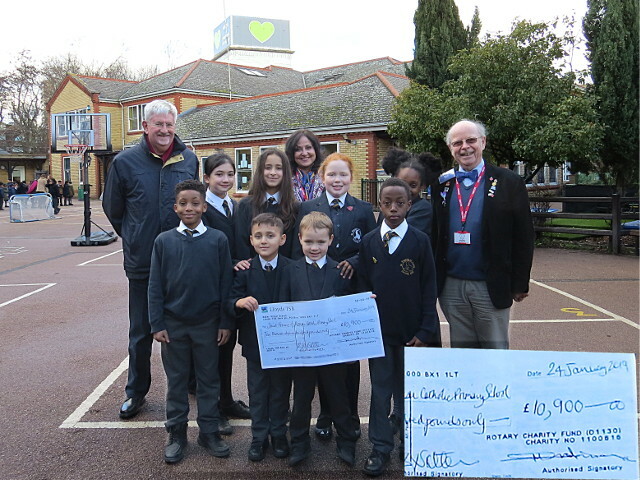 On 30 January 2019, three members of the Club were involved in a cheque presentation to St Francis of Assisi Primary School in the Grenfell Community in London. 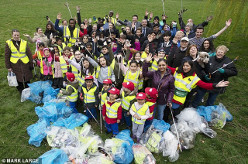 The school is located in the shadow of the Grenfell Tower (pictured above with the green heart logo). 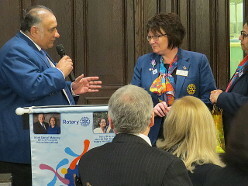 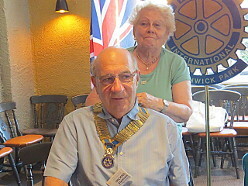 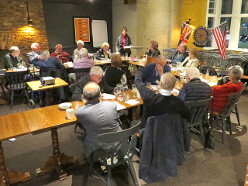 Two of the Club Members were there in their capacity as Trustees of the Rotary Charity Fund (D1130) – the fundraising vehicle used for donations from across Great Britain and Ireland – the third Club Member was behind the camera! 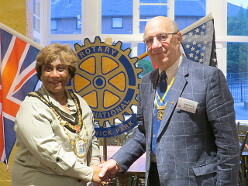 Whilst some of the money will be used to purchase much needed IT equipment for the pupils, who will likely emerge on the job market in about 2030 when the Internet of Things will be ‘old hat’. 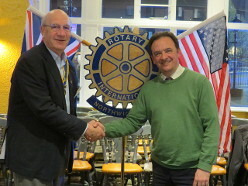 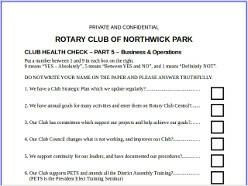 Following agreement between Rotary and the School, a significant sum is reserved for a series of practical improvement projects chosen by the school for Rotarians in London to complete.